I would assume here that everyone knows Peter Pan. The fairy tale character; the boy who refuse to grow old - or grow up. I first heard about the Peter Pan Syndrome from a friend who has a doctorate degree in psychology from Kensington University in the US so it's either the syndrome is a fact or he's just pulling my leg. Basically, it's the inner child in everyone of us - that part of our childhood that we hold on to and just won't let go. 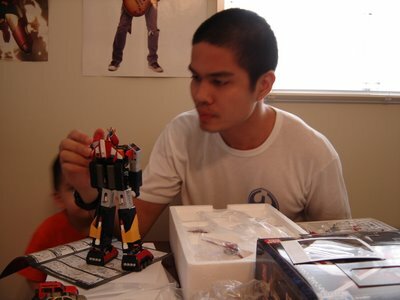 Mine is the Voltes V toy. I've been fascinated with Voltes V during the height of it's popularity in the late 70's when I was still a little boy in elementary school. I remember vividly my Friday afternoon's in the Philippines at 5:00 p.m. watching the cartoon series on GMA 7. I also remember having notebooks, school bag, pencil box, stickers, posters, coloring books, t-shirts, and a vinyl record of the theme song. 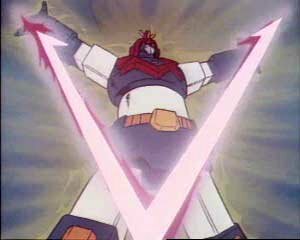 But the one thing I've always wanted very badly but never ever had was the die-cast metal Voltes V toy made exclusively in Japan (not sure who's the manufacturer). At the price of PHP 1,000.00 (US$ 19.23 / QR 71.43) back then, it was simply a luxury my parents could not afford. I tried to understand; I never made a vow to buy one for myself someday but I watched with great envy as my more affluent classmates brought their toys in school and played with them during break time. There was nothing I can do but accept it as one of those things you just can't have. As I grew up, I learned to forget about it. Reaching adolescense, the fascination with girls helped a lot to forget about my childhood heartbreak. 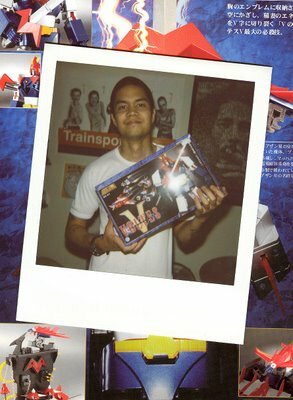 25 years later, I have achieved a considerable level of success with my career and I believe that I can now afford to buy a Voltes V toy. When the cartoon series regained some popularity in the early years of this century, it was good timing that I happened to be on vacation in the Philippines as well. I searched from toy shop to toy shop but none existed. All they have are those locally made plastic copycats that do not transform. (At one time I did found a used one being auctioned at ebay but I didn't considered it because the bids are getting too high and I'm just not willing to pay that much for an old toy with a few missing accessories.) It was okay. I did not expect to find one anyway. At least I was able to buy a VCD copy of the entire series - all 40 episodes. A Polaroid shot of Marco with his new toy. Marco playing with his new toy - a gift from her loving wife, Gracinha. And then I saw these picture in Atari, Gracinha & Marco's flickr photostream. They are a Filipino family based in Tokyo, Japan and I have come to know them only thru this photosharing site. It turned out that this same toy was also one of Marco's childhood fascination. Anyway, the feeling I had upon seeing these pictures can be likened to finding an old flame and knowing that she's available and I'm available - my heart just started beating faster at the thought of the possibilities. Bandai Soul of Chogokin GX-31 Voltes V DX - The Voltes V toy that fascinates me to this day. 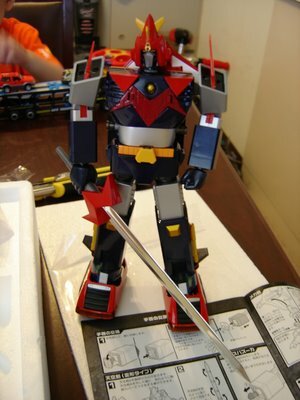 Knowing that the Voltes V toy exists and available in the market (in Japan) reawakened my childhood desires - and effectively, my Peter Pan Syndrome. Now I get sleepless nights contemplating. I mean, just look at it - this is the child in me that refuses to grow up. It is still a very expensive action figure. As I was informed by the lovely family from Japan, it costs around Y 14,000 (US$ 140 / QR 511 / PHP 7,154). Only today, I found one at the website of greattoys and they're selling it for PHP 8,500. That's both good news and bad news to me. 25 years sure is a long time and the toy's price is now 8 times more expensive than it used to be. Should I buy one? On the other hand, this is now within my reach. All it takes now is just a few clicks of the mouse and keyboard and I've got me one. We're flattered you used our images, sir. Thank you! Thanks for dropping by AG&M. Ayos ba?